Advanced Portfolio Pro features a clean responsive style enhanced with features to maximize your visual experiences in both list and detail view. Joomla MVC Standard: Advanced Portfolioâ€™s code is written based on Joomla 3.0 standard. That makes the component work well on Joomla 3 websites and support custom layouts from templates. Multi level/nested categories: Advanced Portfolio allows you to manage projects across infinite categories/subcategories. You can also select one or multiple categories for menu item to display projects. Projects management: Advanced Portfolio allows you to create projects easily. You can add thumbnail, images gallery as well as video into your project and limit the number of projects per page. Tags Filter: On front-end projects are filtered by tags which can be created unlimitedly. Each project can use as many tags as possible. All tags are managed and supported by Joomlaâ€™s tagging system. 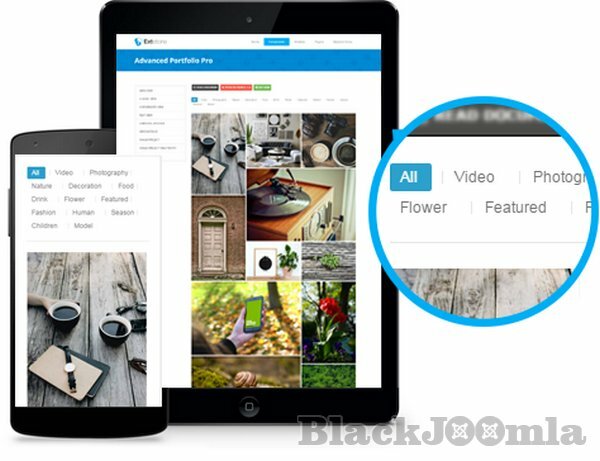 Easy file upload: You are enabled to create unlimited sub-folders for images/files and upload many images/files at one time. Video Support: If you donâ€™t want to show images, just show videos by using Youtube or Vimeo video url. Project URL: You can add Launch Button to each project. This Launch Button links the project to any url. Project Column: Shown projects can be divided to up-to-4 columns and limited by a certain number. Project Order: You can show projects in latest/oldest/alphabetical/reverse alphabetical or default order. Pagination: The component supports pagination to prevent you from having to load all projects at once. If you use this feature in the list of projects, your site will take a very short time to render. Clean theme and responsive design. 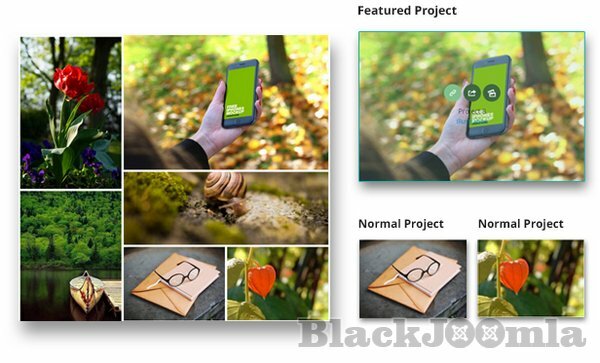 Image Management: You can configure the location to store images safely. Image Performance: With image cache feature and optimized image quality, your website will load much faster. Thumbnail Width/Height: Thumbnail size becomes more flexible thanks for width/height options in each project. However, the reset width/height should be smaller than the original ones and max width is column width which depends on the number of columns on front-end. Extra Video Support: You can add video links from not only Youtube or Vimeo but also Metacafe, Daily Motion or Twitvid. Filter by Categories: The Pro version allows you to filter projects by tags or categories. Featured Project: If one project is marked as featured, it will display in a bigger size thumbnail. 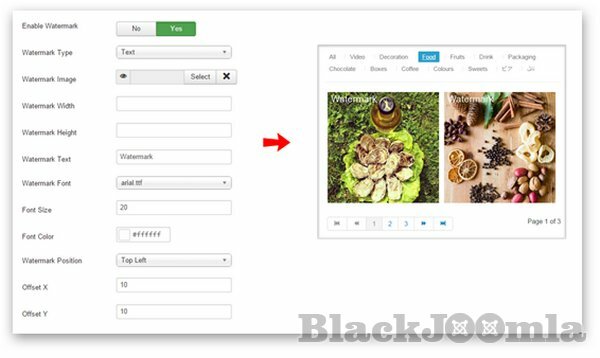 Customizable Overlay: There are many options to configure color and button color of the overlay, show/hide title and category, show/hide Details/Permalink/Gallery buttons on the overlay. Gutter Width option helps you change width of space between columns and opacity of thumbnails is changeable as well. There are 3 Overlay Effects: None (simply cover), Animate (slide from left to right), Hover Direction (create direction-aware move). 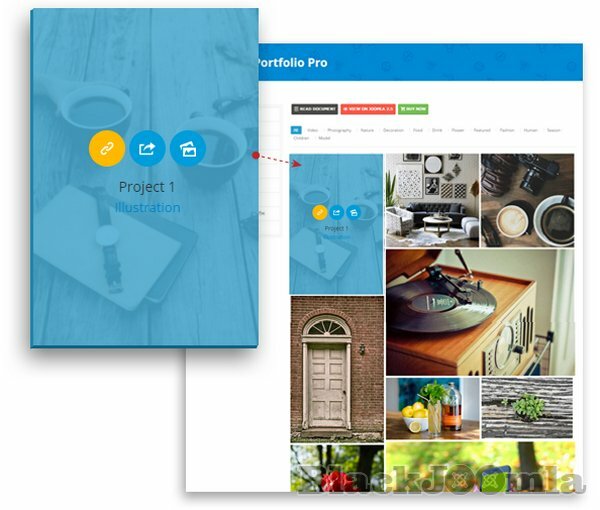 Watermark: Advanced Portfolio Pro enables you to add text/image watermark on all thumbnails/images.You can change width/height of image watermark or font, size, color of text watermark. 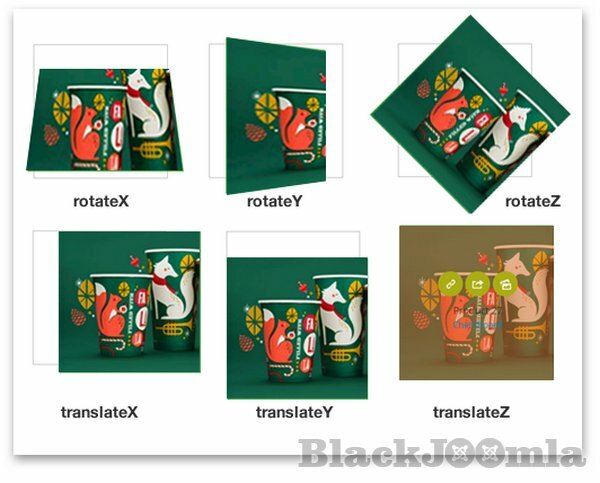 Watermark position is extremely active because of position and offset settings. CSS3 Transform Effects: Your portfolio now gets more diverse by using Scale, Rotate, Translate and Skew effects for overlay. Plus, hover duration and delay time are configurable. Dynamic Module: Advanced Portfolio Pro module can be displayed in Grid or Carousel-style module. 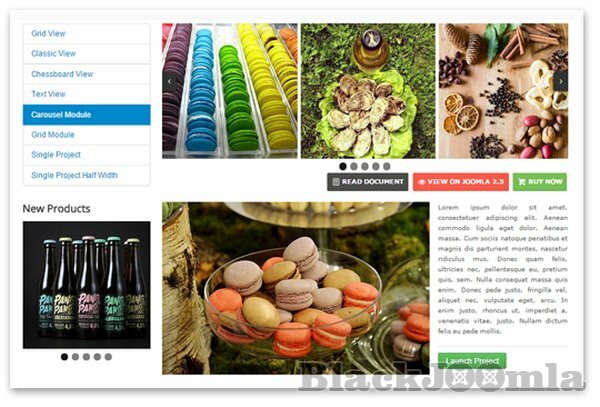 Especially, you can show Grid module in Joomla content or projectâ€™s description part. Search Plugins: Search/Smart Search plugins supports you in searching for information in Advanced Porfolio Proâ€™s content (description and short description).